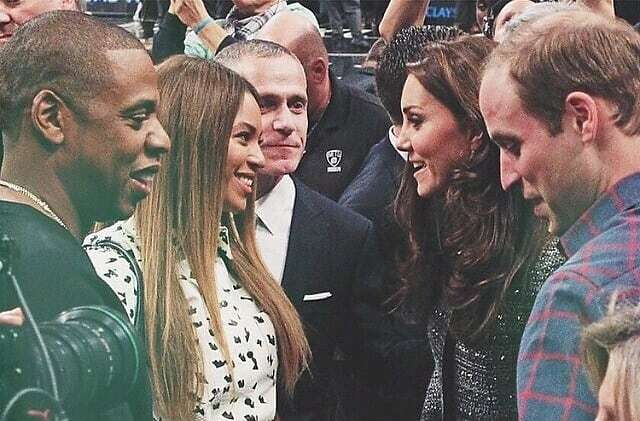 As well all know, last night Prince William and Duchess Kate were formally introduced to NYC royalty, King Jay and Queen Bey at the Barclays Center. Although the meeting may have happened at a basketball game in Brooklyn, we're sure it was still filled with significant discussions on foreign affairs and policies (and possibly when Beyonce will be dropping a new ablum). As Prince William and Duchess Kate continue their visit, we've come up with a list of other NYC "royalty" we hope they'll be running into.